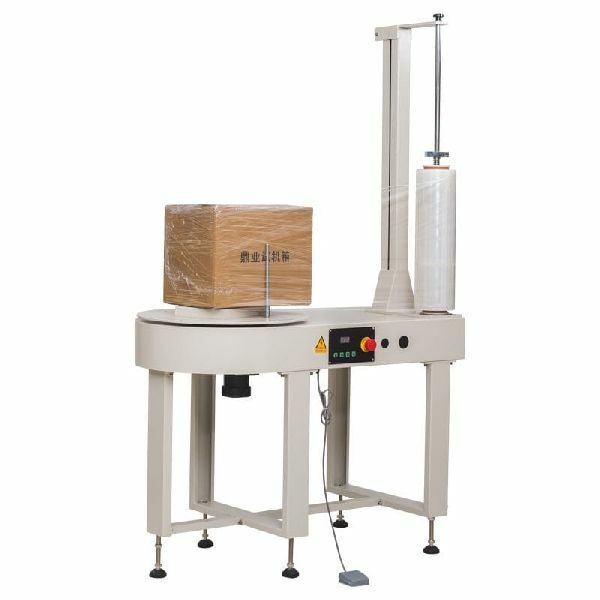 Very fast economic packing, gives packages/box extra strength Single (Standard) or Dual roll mounting (optional) or pre stretch model (BWM82) for various size of boxes. Adjustable rod for various box sizes, which eliminates pneumatic top holding. Hence no air connection required for holding of box stretch film tension can be adjustable for tight or loose apply on box. It protect the package against dust and damp, and make the package clean. It can decrease the scratch of the package, improve the surface quality and make the package more secure.